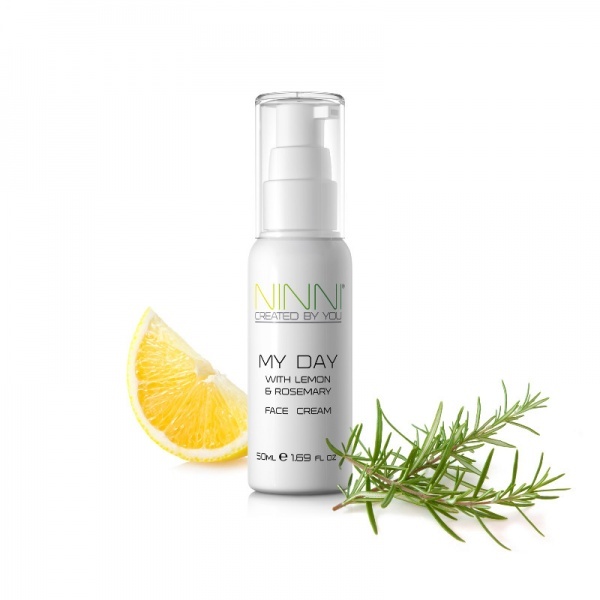 My Day is a face cream formulated to help protect your skin from pollution and free radicals, designed with the modern woman in mind. This all-natural formula is filled with vitamin C, vitamin E and co-enzyme q10 to help revitalize your skin. It contains rosehip oil which is considered a natural anti-aging oil. It also contains thistle oil and crambee seed oil which nurtures the skin to give it a soft and smooth feel. My Day absorbs quickly and keeps your skin moisturized all day while providing a perfect base for makeup. The uplifting scent of rosemary and lemon boosts your energy. Apply small amount on face and neck after cleansing and seize the day. For external use only, keep out of children's reach and don’t use on children under 3 years of age.